20V MAX* XR® Brushless 5 in. 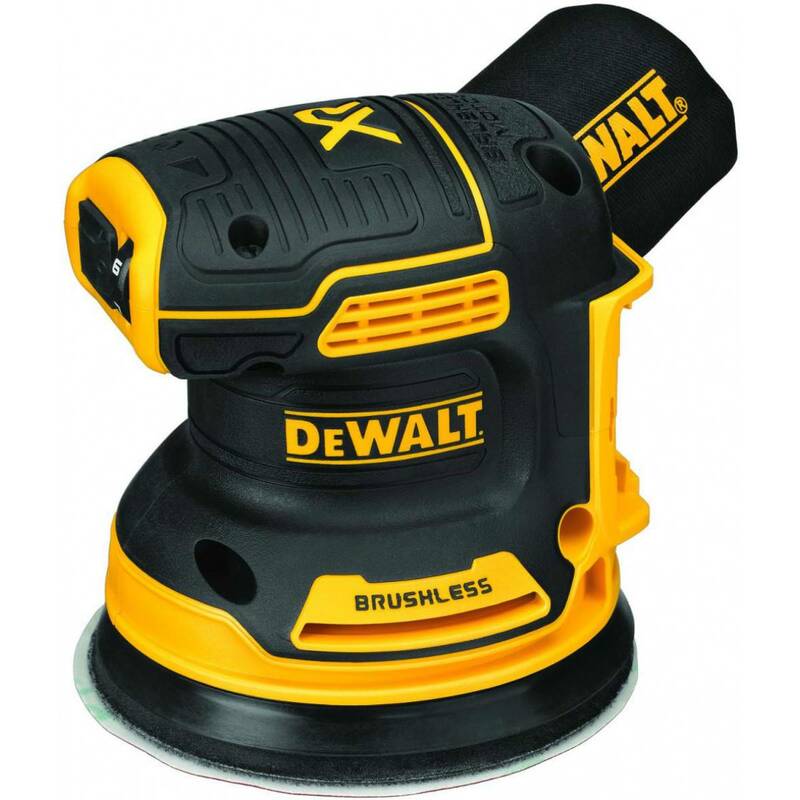 Cordless Random Orbital Sander provides you with the power and runtime needed to get the job done. A variable-speed dial provides ultimate speed control from 8,000 – 12,000 OPM for a variety of projects. One-handed locking dust bag attaches securely to the sander to aid in dust collection or the user can attach the sander directly to the DWV010 or DWV012 dust collectors. Rubber overmold grip provides comfortable sanding. Replacement 8-hole hook-and-loop sanding pad for quick, easy paper changing. Battery and charger sold separately.